Today is faculty meetings with new students in the afternoon. Tomorrow we start with all students...hope I am ready. I do like the before Labor Day start with two broken weeks. It really lets me ease a bit more into the rat race! 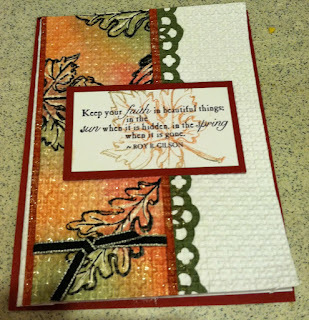 Today I have a card that I used for a swap with my uplines group. I love this new stamp set from the Holiday mini and I wanted to do something a little different. I used a technique called Crayon Resistant. I love how this fall card turned out! 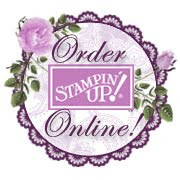 Tomorrow is the LAST day to order from the Occasions Mini Catalog and the last day to take advantage of Stampin' Up! 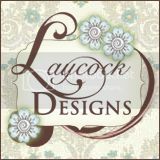 's August promotion - BUY 3 GET 1 FREE Designer Series Paper. Place your orders online from the convenience of your online order by clicking here!